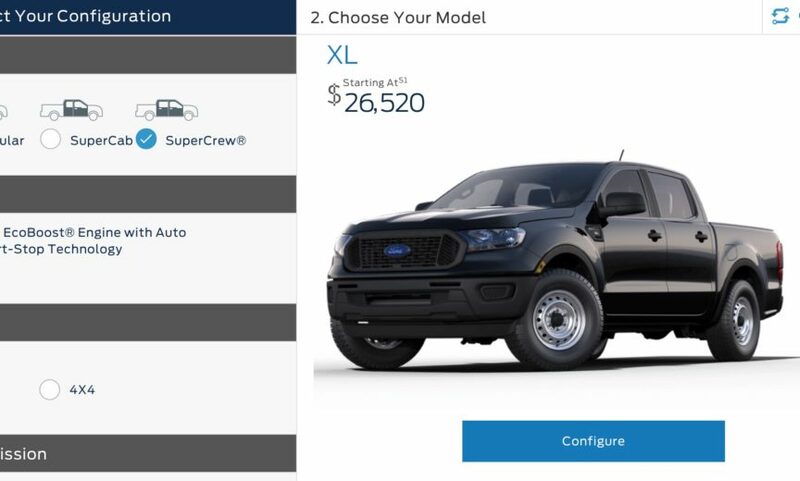 The website configurator for the 2019 Ford Ranger just came online, but according to Ford it’s still in draft form, which means the pricing seen on the site is still preliminary and may be subject to change when the “official” version is made available next week. Also, not all packages have descriptions and no engine figures are listed. For now, the draft configurator is still available here. Stay tuned next week for the official configurator launch! Updated with statement from Ford: The configurator went up early. Pricing isn’t finalized, though Ford says both pricing and the full configurator will go up next week. Ford also says there will be no regular cab available for the 2019 Ranger.